PWA: What’s the full diagnosis? Here’s to hoping Swifty recovers quickly and we see him back on the PWA World Tour soon. Top rider Robby Swift has suffered a leg injury while training in Pozo for the upcoming PWA event. Yesterday afternoon Robby Swift broke his leg and ankle on a one footed back loop gone wrong, he is currently on his way back to the UK for surgery. With such a short circuit is will put the entire season in doubt. We wish him a speedy recovery and hope to see him back on the water soon. A day of teasing winds – despite an unfavorable forecast – on the fifth day of the Ulsan PWA World Cup saw the sailors experience a long day on hold, but ultimately the wind never quite materialized enough to allow the competition to resume. However, the glorious sunshine returned allowing the competitors and crowds to relax on the beach. The sailors were eventually released at 4:45pm and they will now prepare themselves to battle it out on the last day of racing tomorrow – which should see an action packed day of fully charged slalom. 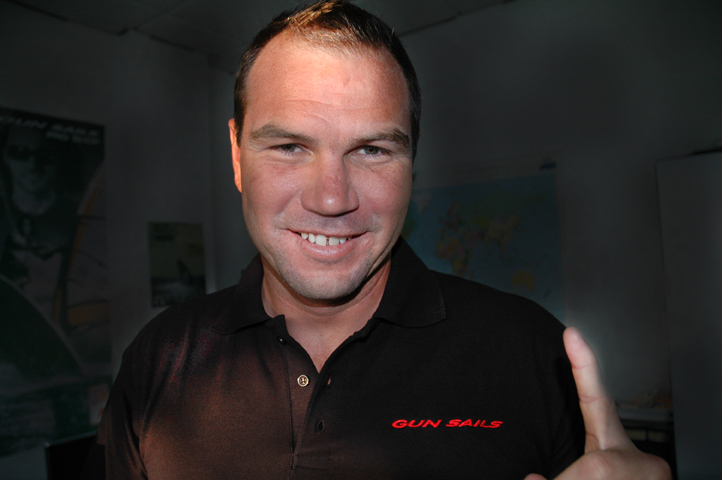 While on hold the PWA caught up with Argentina’s sole representive Gonzalo Costa Hoevel (Starboard / Loft Sails). PWA: This winter you travelled to Maui to test different combinations of equipment, why did you eventually decide on Starboard and Loft Sails? PWA: Which size of boards and sails have you registered for the season? PWA: Did you go anywhere else for training this winter, aside from Maui? PWA: You’re currently sat in sixth place at the moment, are you happy with how the first event of the season is going? GCH: “I’m happy, but I made a couple of mistakes in the first two semifinals. In the first semifinal I crashed with Josh Angulo (Angulo / Gun Sails), when we were both easily qualifying in second and third place. In the semi-final yesterday I was third on the outside gybe and on course to make the winners’ final, but when I was pumping to get back on the plane my front hand slipped off to boom – so that was game over. PWA: What’s your overall aim for the season? PWA: You did really well yesterday in the lighter winds, do you think there’s a particular reason for this? PWA: Thanks Gonzalo and good luck in the racing tomorrow. The forecast looks great for tomorrow with the gradient wind in the correct direction for the local thermal effect to kick in, in full effect. The skippers’ meeting has been called for 10:30am with the first possible start at 11am. Don’t miss a thing by tuning into the live stream, which is available via the PWA TV @ https://www.pwaworldtour.com/index.php?id=1622. 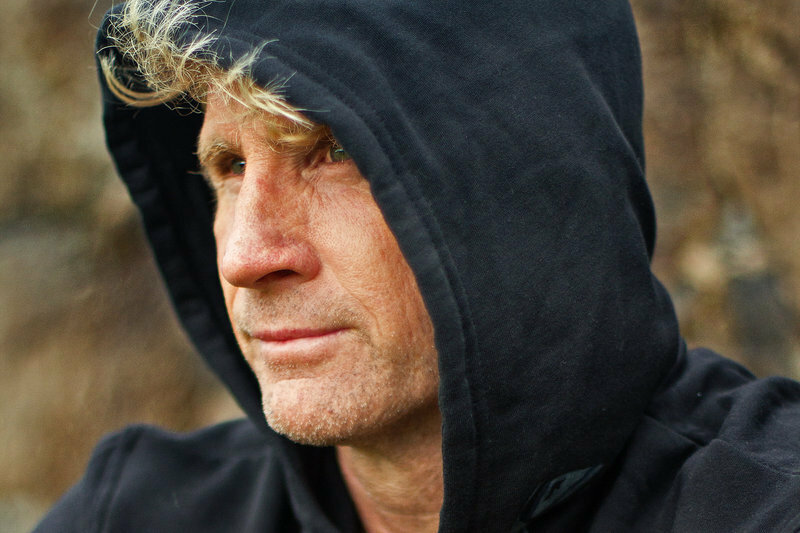 Wave-riding legend Robby Naish turns 50! 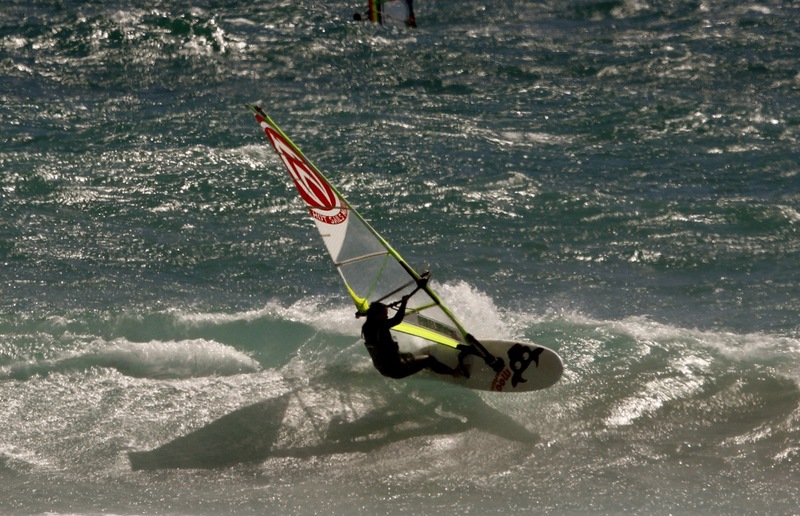 Robby Naish is windsurfing royalty. A pioneer of kiteboarding and world record setter, his name is internationally renowned and he is the first person to have gained long-lasting fame in the sport. Naish, who began surfing and sailing in his early years and then started windsurfing at the age of 11, won his first windsurfing world title in the Bahamas to become the youngest world title-­‐holder in the history of the sport at age 13. He successfully defended his crown the following year in Sardinia, Italy and made it a hat trick of world titles when he triumphed again in Cancun, Mexico in 1978, and again in Florida in 1979. For the following decade, he dominated windsurfing competitions worldwide, travelling extensively and competing in more than 20 countries each year on the professional tour. An excellent slalom and course racer, his Hawaiian upbringing from the age of five has provided him with a special affinity and talent for wave riding. He made a clean sweep of all four titles in the inaugural Pro World Tour in 1983 -­ clinching the overall, the wave riding, the slalom and course racing championships -­ and repeated the feat in 1984. Over his windsurfing career, Robby earned himself a total of 24 world championship titles and over 150 event victories. In 1995 Robby founded Naish Sails Hawaii, a company designing and manufacturing windsurfing equipment, which is sold world wide under the Naish brand. In the late ‘90’s Robby was a pioneer in the new sport of kiteboarding, a discipline in which he won the slalom world title in 1998. The following year, he won the kiteboarding world titles in both slalom and jumping. 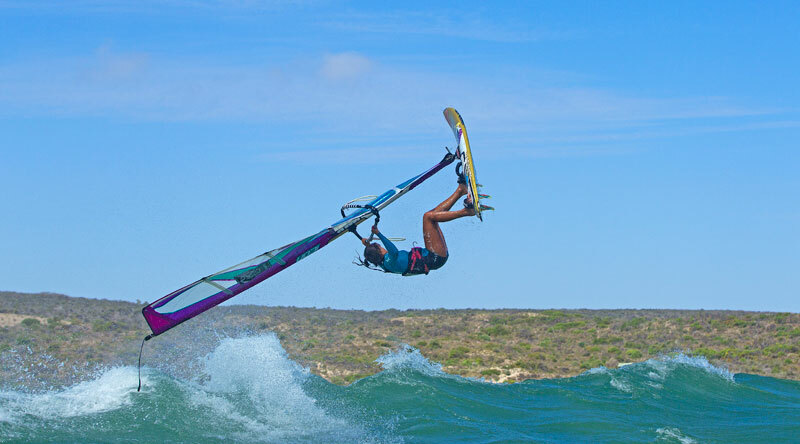 The Naish brand quickly became a world leader in the development of kitesurfing equipment. In 2006 Robby was again influential in the growth of the new sport of stand up paddle surfing, and again the Naish brand has been at the forefront of the development of SUP equipment. Today Naish is the premier stand up paddle brand in the world and offers the most complete range of stand up paddle boards on the market. 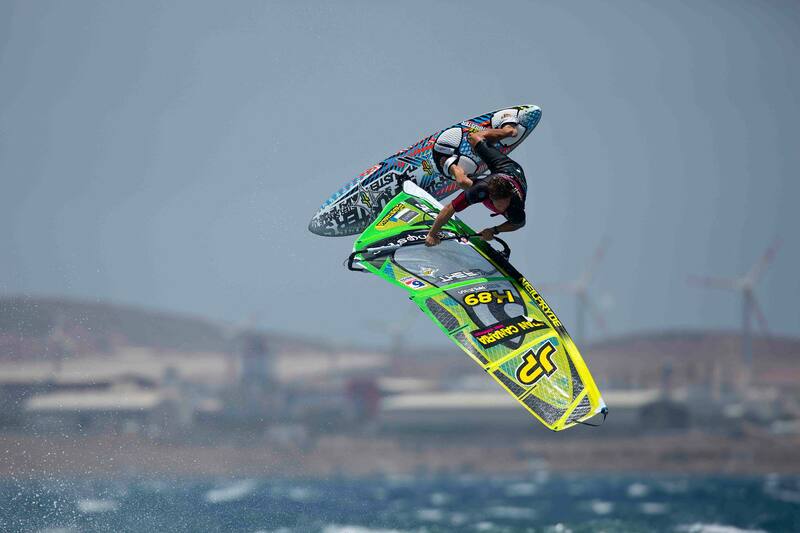 Check out Canadian Freestyler Philip Soltysiak’s latest web update from Dahab Egypt. He’s there getting ready for the first event of the PWA season in Podersdorf, Austria, training with Steven Van Broeckhoven and Max Matissek. Check out his full storey and a couple pics on Philip’s website. Tonky Frans has released his new website, and it’s packed full of images, video, and updates. Keep up to date with this freestyle master at tonkey-frans.com. Freestyle windsurfer Jamie Drummond has joined with Watersports World as there Muvi camera representive for windsurfing. 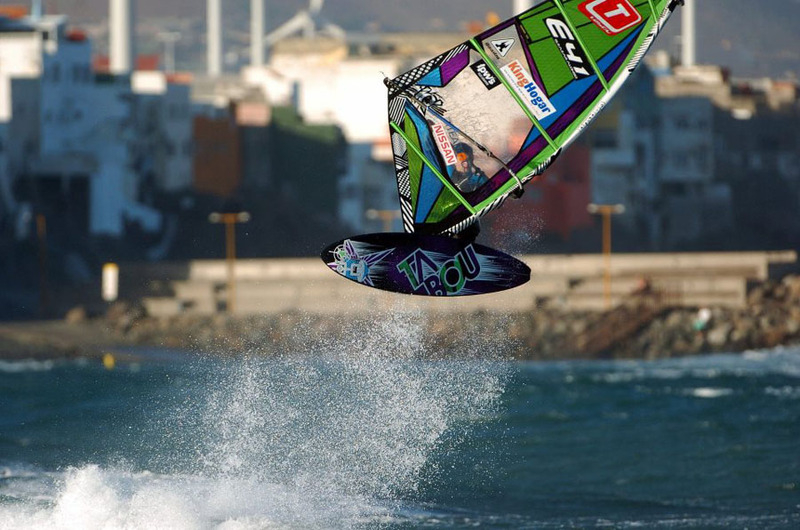 Spanish wavesailor Eleazar Alonso has joined The Gaastra and Tabou team for the upcoming season. Ben Proffitt had a pretty bad crash while trying to pull off a tweaked pushloop at Coronation Beach, Geraldton Western Australia Yesterday, February 18th. 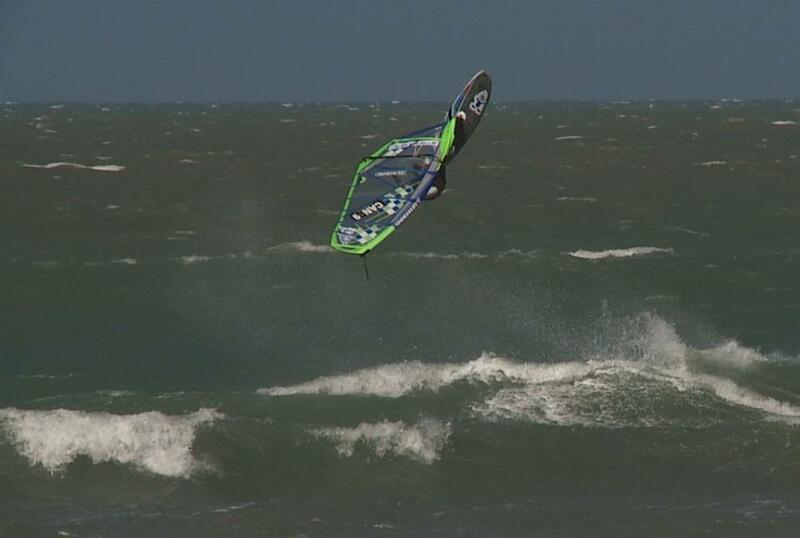 Ben Proffitt is the UK Wave Champion, top PWA windsurfer and in recent year teh announcer for PWA’s live stream. 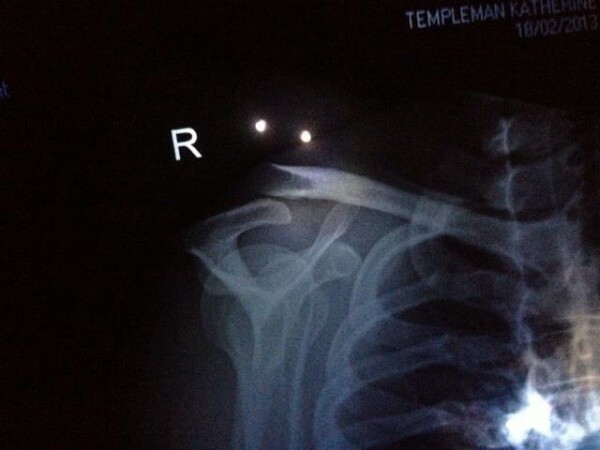 The crash resulted in a pretty serious should separation check out the x-ray below. Best of luck to Ben, and we hope he has a quick recovery! Adam Sims signs to well know California based headwear company Neff. Neff is well know in the US particularly int he Snowboard industry and is working on making inroads into the watersports sector and the UK market, where Sims is based. 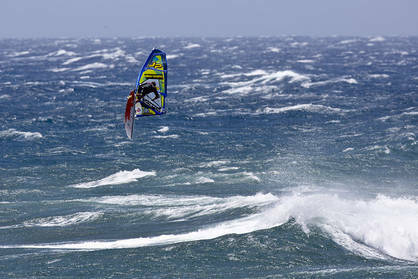 Top French Freestyle Windsurf Julien Mas has left Hot Sails Maui and joined with German brand Sailloft. Othernotiable names on the Sailloft team are Adrian Beholz, Adam Sims and Mathias Genkel. At the moment the 32 year old Julien is training in the warm waters of Aruba, check out this clip. 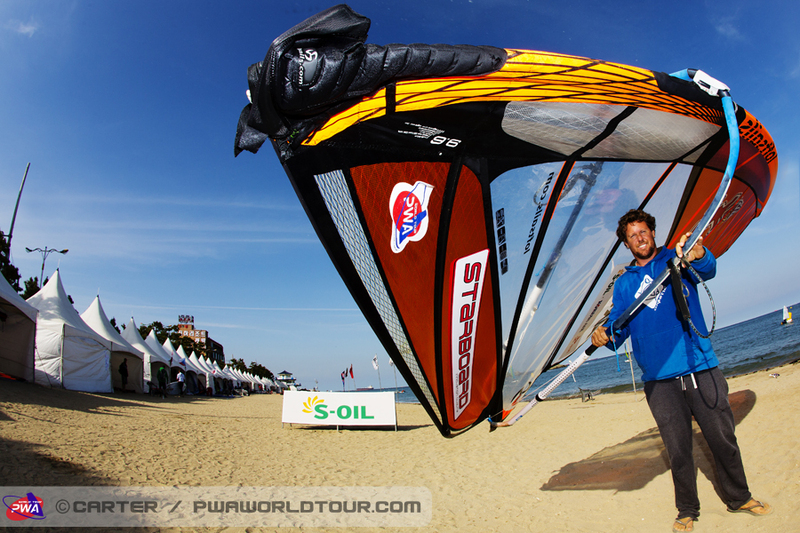 Roberto Hofmann is a strong voice for windsurfing, teaching hundreds of new and upcoming talens each year, but also commenting to the hundreds of thousands of fans as he hits the road with the PWA every year. 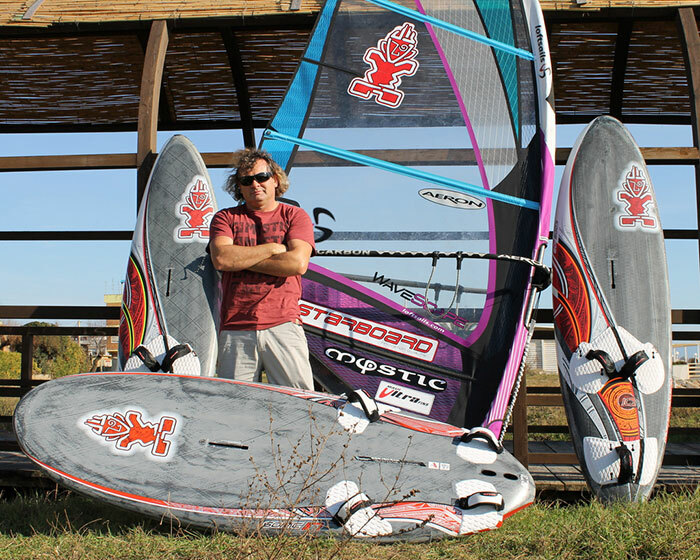 He competed on the Professional Windsurfing Tour between 1990 and 1995, so racings in his DNA, and in 2012 won several important races in Italy and the IFCA Slalom Worldchampionship in the G-Master category. Hot Sails Maui continues to grow there team. and recently announced the signing of Irish ripper Katie McAnena to the international team. In the last year she’s been all over with appearances in the AWT, BWA, IWA and PWA tours. More about Katie at the Hot Sails Maui Blog.